Ice hockey playoffs have always left a bittersweet taste in my mouth. I love to compete. I was never a competitive person up until I started to play hockey. Now, even at almost 40, I look forward to competing in hockey. Yet, ice hockey is something I have not had a lot of success with. My teams have made it to the finals about five times, but could never seal the deal. Tonight, I played probably one of my better games in the semifinals and lost 5-4. Yes, I got elbowed in the face and plowed into by the other team. Yes, my neck hurts pretty bad, but with a one goal lead, I was feeling great. Yes, I played well enough to win, but I was more furious about my team trying to sit on a one goal lead with an entire 3rd period to play. We almost pulled it off too if it wasn’t for a deflection with 30 seconds left that pinballed off of 2 players and over my shoulder. The game winner was a really nice backhand shot that went far post with 5 seconds left. After that debacle, I just couldn’t get that upset. I have been in this situation before where I didn’t come up big and my team didn’t give me crap over it. So I returned the favor. We really didn’t need it, because while losing sucked, my team really wasn’t phased. We drank beer in the locker room and just chatted about the game like it was just a regular season game. It was then I realized that I had crossed over into 40 and over league hockey. Playing the game is what matters. The outcome, while a win would be great, isn’t what my teammates think about. Yes, I was disappointed, but with the rest of my team relatively jovial, I tried to keep the mood light. I was the last one out of our locker room, and the opposing team was all still in their locker room celebrating the come from behind win. I drove home a little sour about it, and I am still sour now. All I could think about was another opportunity had come and gone. At almost 40, I don’t have many opportunities left. 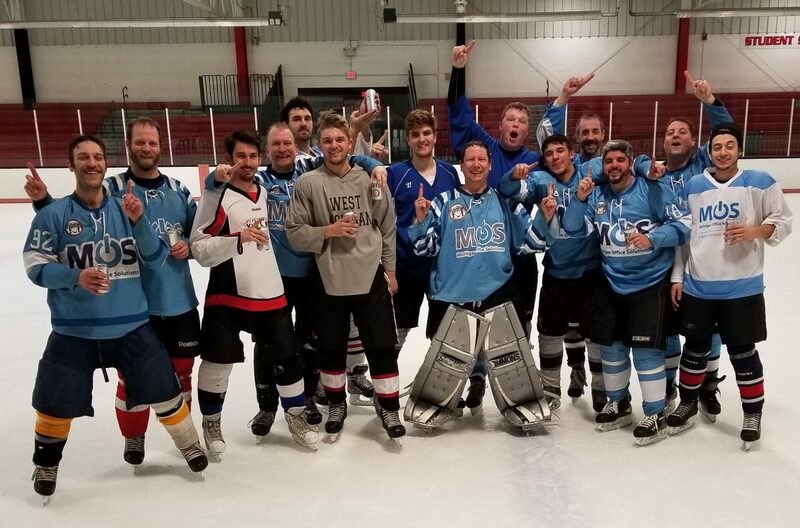 It would be nice to win one championship in ice hockey someday, but this season, it wasn’t in the cards. Everything happens for a reason though, and good things come to those who wait. I will be patient. The good news is that this just fuels me to be even more prepared for the Tough Mudder in April. The miles I am running and all the skating I am doing is just preparing me physically and mentally for this event. This is the best shape I have been in since 1997 when I was in college and exercising regularly. It feels good to be back in shape. Holding out hope now that not only will I have an ice hockey team to play for over the summer, but that I will be physically prepared for what lies ahead. Next PostNext Have I done enough?